We’re thrilled to introduce our very first podcast for kids, The Story Pirates Podcast! The first two episodes just premiered and we think you and your kids will love it. In episode one, Lee and Peter set sail on a pirate ship to fulfill their dream of recording The Story Pirates Podcast on the open ocean! The Story Pirates present “I Love a Ghost,” a tale of supernatural love written by a fifth grader and “Fred the Carrot,” a second grader’s epic musical adventure about a carrot on Saturn who wants to be eaten, more than anything else in the world. In the second episode, Lee and Peter adjust to life on the pirate ship while fellow Story Pirate Rachel acts suspiciously. Plus, they present “Annoy Your Sister School,” a second grader’s story about the perils of pestering siblings, and “The Girl Who Never Took a Bath,” a first grader’s semi-autobiographical tale that the Story Pirates transform into a rousing bluegrass tune. We can’t wait to hear what you think about the show! 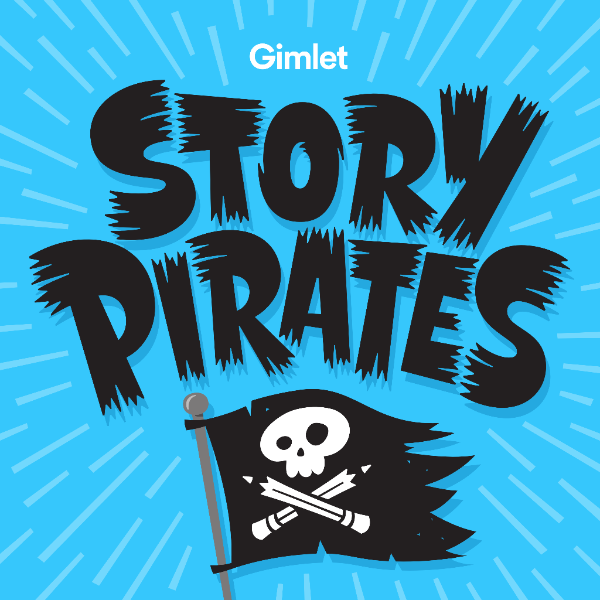 Subscribe wherever you get your podcasts, and use #StoryPirates to share your thoughts! Copyright © 2017 Gimlet Media, All rights reserved.